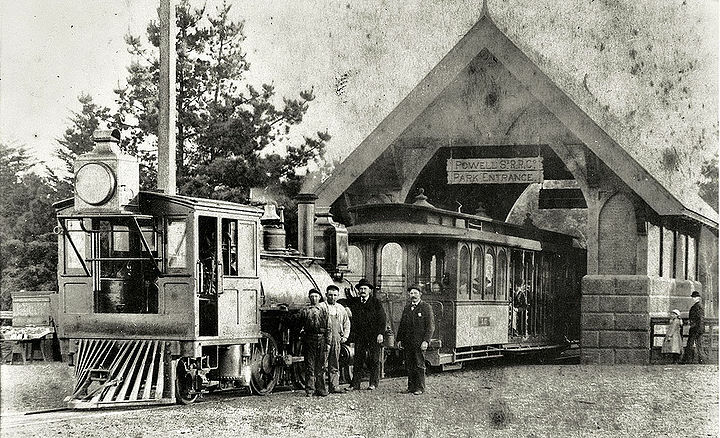 Ferries and Cliff House steam train at Golden Gate Park terminal, 7th Avenue and Fulton, c. 1895. 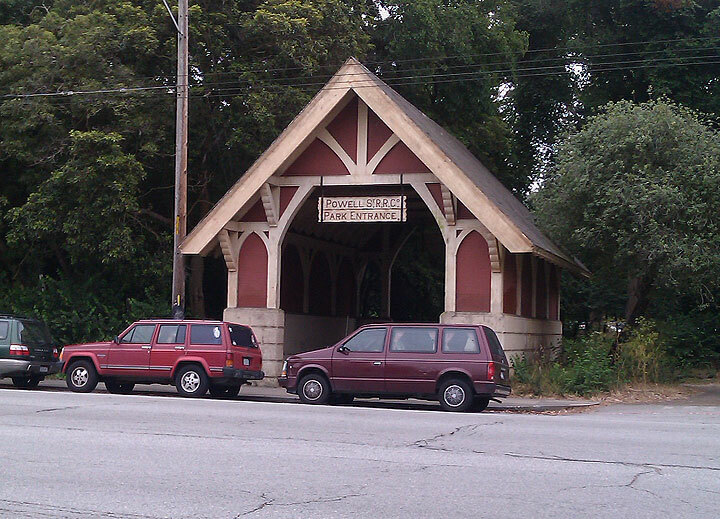 Powell Street railroad entrance, 2009, now just an ornament. 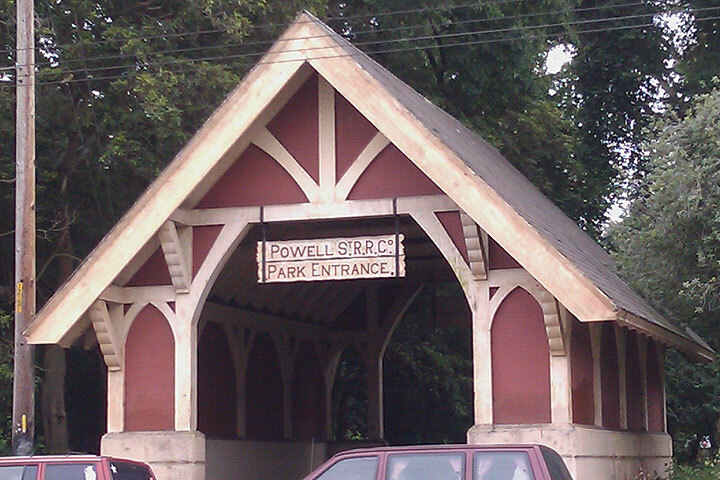 Powell Street railroad entrance, closeup. 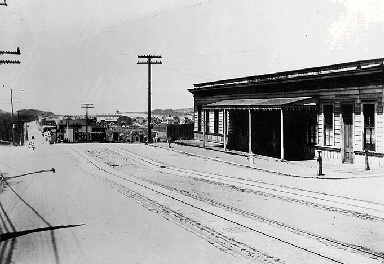 Fulton Street west at 7th Avenue, 1927, old Powell RR house at left. 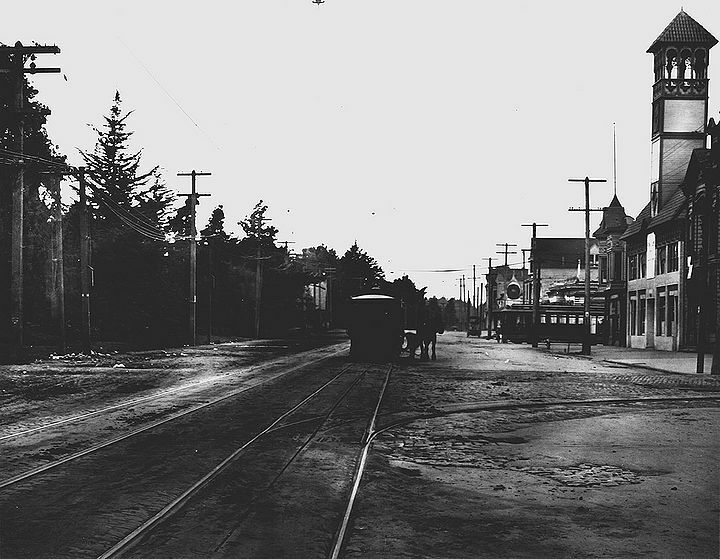 Fulton Street west from 5th Avenue, 1912. 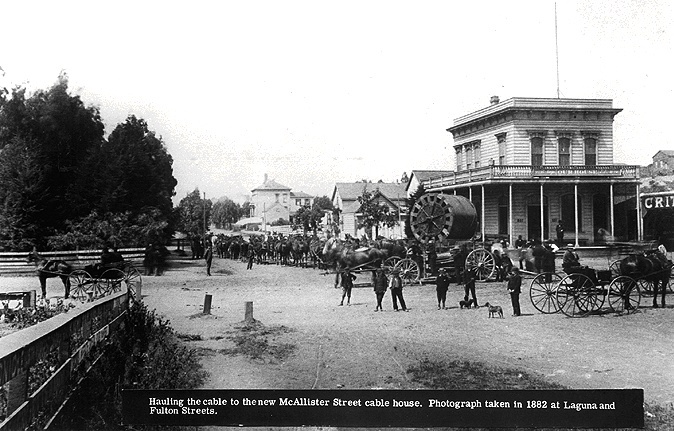 Hauling the cable to the new McAllister Street cable house in 1882. 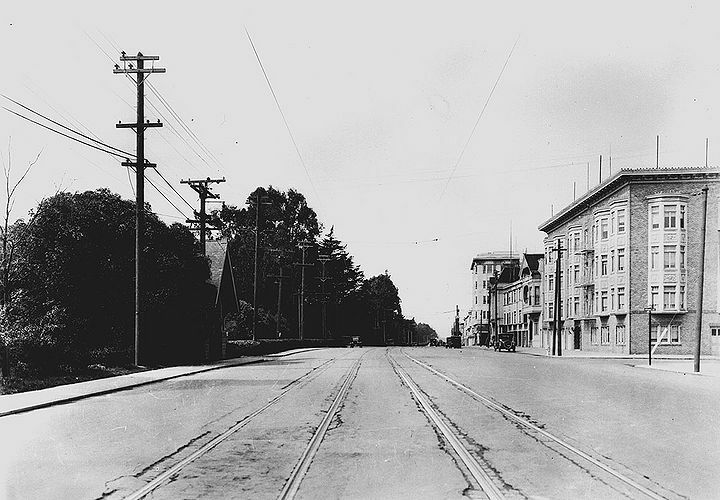 This is Laguna and Fulton Streets.